Well dressed punters assembled at the Mana Cruising Club on Tuesday evening to watch the Big Race. 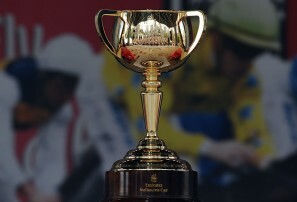 The Emirates Melbourne Cup is the most important race on the Australian horse racing calendar. It isn’t called “The Race That Stops Two Nations” for nothing – Australia and New Zealand really do come to a halt for an afternoon to watch the Melbourne Cup. This year Gai Waterhouse’s Fiorente stormed home to win the Cup, with Red Cadeaux second and Mount Athos third. President Ron got the winner in two of the sweepstakes held at the Club on Tuesday night! A competition for the Best Ladies Hat saw Bev Lillico and Carolyn Wallace recognised for their flair and handiwork in creating their headwear. After another delicious Rotary meal the Gambling tables were set up under the direction of Allan Nichols. Experienced and novice gamblers alike found that the next hour flew by while they gained and lost their funny money. A lively auction ensued and funds raised went to the Mana Cruising Club to buy a new rescue boat. Putting the heart into Wild at Heart - that's the thinking behind Wellington Airport's passionate support of the wider Wellington community. 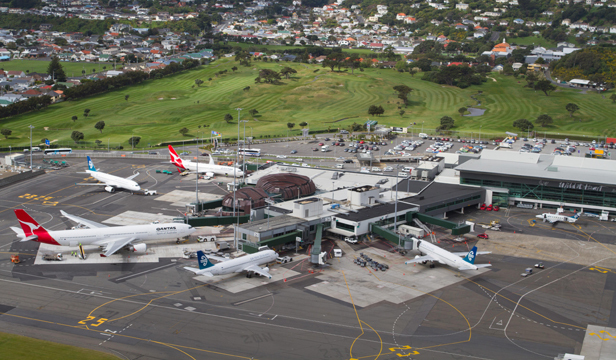 One of the key ways of doing that is through the Wellington Airport Regional Community Awards - run jointly every year with Wellington Community Trust to recognise voluntary organisations that do so much to make our community a better place. This year was the tenth anniversary of the community awards and Wellington Airport and the Community Trust celebrated by increasing the support to the winning groups - with $5000 awarded to the supreme winner. Any not-for-profit group or organisation working in the interests of the community can enter - there are five award categories - Arts and Culture, Education and Child/ Youth Development, Health and Well-being, Heritage and Environment, and Sport and Leisure. The Rotary Club of Plimmerton won the Heritage and Environment category for it’s Te Ara Piko Pathway in the Porirua regional semifinal. President Ron and Jenny attended the supreme awards dinner at Wellington Airport's award-winning Rock Terminal on Thursday 31 October. The Rock transformed in to an amazing venue with Te Radar as the MC and entertainment by Hollie Smith. The Supreme Award Winner in the 2013 Wellington Airport Regional Community Awards was Ignite Sport and it will represent Wellington at the Trustpower National Community Awards in March 2014. Ignite Sport is a youth development organisation that operates throughout the Wellington Region, using innovative sport and recreation programmes to engage, connect and change lives. Last year's winner, Kaibosh, went on to win the Trustpower National Awards, a first for the Wellington Region. Kaibosh is New Zealand's first dedicated food rescue organisation. It collects food from retailers that, while still good to eat, is no longer deemed suitable for sale. Kaibosh then distributes the food through our region wherever the need is greatest. Porirua ‘s Festival of the Elements won the Regional final in 2006. Original generation time 2.6610 seconds.